Get your paisa vasool when you choose a fast, gorgeous, and economical way to advertise your upcoming event and start selling tickets. 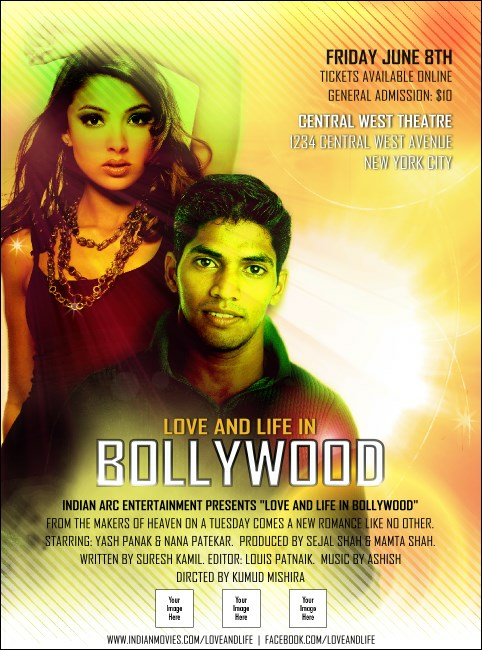 In full color, with dramatic golden tones, the romantic and eye-catching imagery of the Bollywood Flyer is a great opening to your pre-event publicity drive. Expand your world with global accents from TicketPrinting.com.